Ovarian cancer is referred to as the “silent killer” because often there are no symptoms, but for my mom, it was more like a ten-piece band. 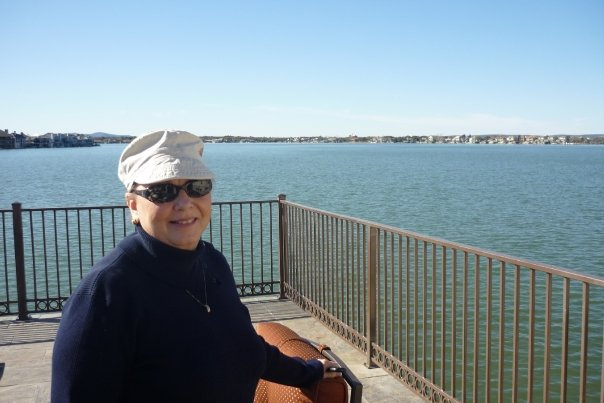 Sadly, she tuned out ovarian cancer until it was too late. 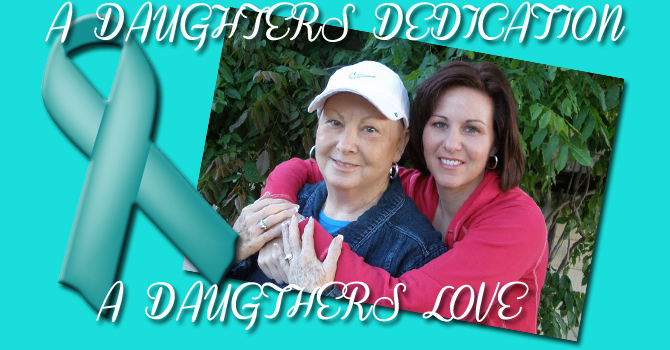 September in the United States is Ovarian Cancer Awareness Month. Perhaps you’ve noticed that the background of my site (www.leahtravels.com) looks a little different. In honor of my mom and to help increase understanding, I’ve changed my background to teal, the awareness color for ovarian cancer. Since there is no screening test for ovarian cancer, it is so important to recognize the signs and symptoms. If caught in the early stages, there is approximately a 90% rate of survival. 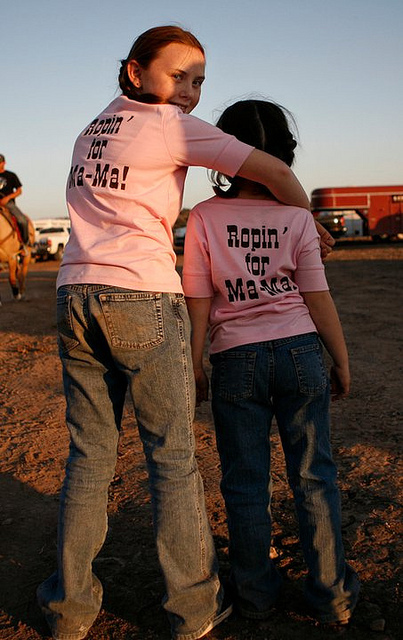 However, if diagnosed in the later stages, like my mother and aunt, the survival rate is between one to three years. Early detection certainly saves lives. These symptoms are relatively common, but if persistent they could be signs of ovarian cancer. It’s vital to see a doctor. Ovarian cancer is the fourth most common cause of cancer death in the United States for women and causes more deaths than any other type of gynecologic cancer. American females have a 1.8% chance of developing the disease in her lifetime, but that’s for the normal female. My mother and I, along with many of my family members, have an increased chance due to being carriers of the BRCA cancer gene. Our chances of being diagnosed are as high as 25% for ovarian cancer and 85% for breast cancer. 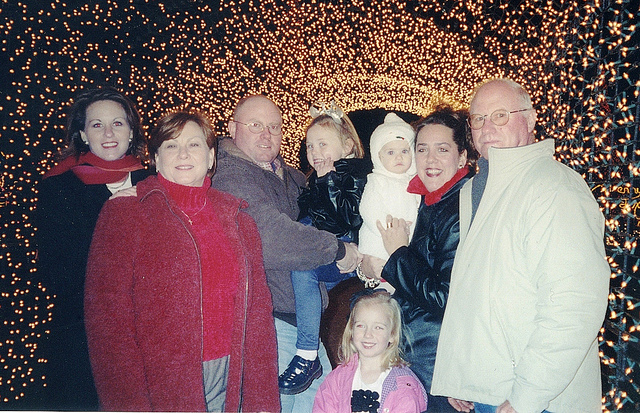 Several years before her diagnosis, my mom had the opportunity to be tested for the BRCA gene. She ignored the advice of the geneticist. A simple blood test would have told her that she was a carrier of the gene and preventive measures could have been taken. She might still be alive. Through her battle with cancer and subsequent death, I’ve vowed to make my health a top priority. I want to squeeze every last drop out of my life as possible. This past Thursday I made the familiar trip to Houston’s Medical Center and to MD Anderson, the #1 ranked cancer hospital in the country. Twice a year I visit my gynecological OB/GYN for a battery of tests and exams. This Thursday I’ll have an MRI of the breasts, give more blood, and see yet another doctor. Every six months I’m either being crammed in an MRI tube or being mashed by a mammogram machine. It’s not fun, but it beats the hell out of dying from cancer. I’ll have a preventative double mastectomy and reconstruction within the next two years. I’ll have my lone ovary removed in the next ten years. I guess you could say that I’m one of the lucky ones, as strange as that sounds. I know my risk of ovarian and breast cancer and am able to do something about it before I’m diagnosed. The way I see it, with my genetic code and family history, it’s not IF I’ll get cancer, it’s WHEN. So with the help of great doctors and diligence on my part, I’m going to do my best to give the finger to fate. I think Ovarian Cancer Awareness Month is the time for me to scream into a microphone with a bullhorn. And that’s exactly what I’m going to do. Not only have I changed the background of my site in honor of my mother and Ovarian Cancer Awareness Month, I’m also going to put my money where my mouth is. I’ve been saving for months for my November European adventure, but I think some of that money would be better served by going to the Ovarian Cancer National Alliance. For fifteen years, the Ovarian Cancer National Alliance has served as the foremost advocate for American women with ovarian cancer. They have also been awarded four stars by Charity Navigator. In order to help spread awareness of ovarian cancer and its symptoms, I am asking for three things: Click, Comment, and Share. Comment: Please read and comment on the story behind Leah’s mother’s battle with ovarian cancer and its subsequent effect on me. I will donate $1 (up to $500) for each new comment on that post to the Ovarian Cancer National Alliance. It gets even better. My dad will donate $.50 (up to $250) and my brother will donate $.25 (up to $125) for each new comment as well. That means that my family and I could donate a total of $875 to a charity that’s mission is to increase awareness and help women suffering from ovarian cancer. My family and I could just donate the money and be done with it, but that wouldn’t spread the message about ovarian cancer. This is a cause very close to our hearts, and I am fortunate to have a public platform to help further this cause. Please help get the word out about ovarian cancer by clicking, commenting, and sharing my post, “Why I Travel: A Dedication“. Please help get the word out about ovarian cancer by clicking, commenting, and sharing my post, “Why I Travel: A Dedication“. We want to leave you with another excerpt from the blog that you will leave a comment on ~ remember friends as Leah knows tomorrow is not promised ~ live your life to the fullest and love those around you! This entry was posted in General, Giving Gypsy and tagged Giving Gypsy, Gypsy Sisters, Leah's Travel, OvarianCancer by admin. Bookmark the permalink. I also celebrated Ovarian Cancer awareness month over on my pages and my blog – my mother was one of the women taken silently. I work on a regular basis to bring awareness to Ovarian Cancer and supporting cancer caregivers and families has become one of my life’s missions. Thank you for the personal post. Love and hugs.